danger garden: In a Vase on Monday, 8-year Blogoversary! Wait, my blog doesn't make any money, nobody's sending me checks every month! But that's not why I've stuck with it for all these years, and written 2,150 posts(!). Money is important, nothing pays the bills quite like it. But if you're lucky enough to have time beyond what's required to cover the basics in life, then gardening, and writing about it, is a great way to spend that time. Through this platform I've made great friends and been introduced to inspiring people, been invited to fabulous events, sold (for real cash!) photos, received job offers, been given great swag, had people from all around the country send me plants (frequently offsets from their garden), and had countless doors open. The best part (and I really mean this) when someone new to gardening emails me a question, or a note to let me know that somehow I've inspired them. That's what it's all about folks. And that's why I still spend time and energy doing this. But isn't blogging dead? I keep hearing this, and honestly I think every new social media platform cuts away a bit of the blogging audience. I'm also active on Facebook, and even more so on Instagram. For the longest time I thought Instagram was just about posting pretty pictures, but I've since discovered it's deeper than that. Blogging is long form, and I love it for that, but not everyone has the time and energy for long form, that's where Instagram is so useful. But really, let's celebrate! As you've probably figured out I bought myself some flowers anyway, and arranged them with foliage from my garden (Brachyglottis greyi, aka Senecio greyi). I've been wanting to create a big romantic spring bouquet and this seemed like the perfect reason to splurge a little on cut flowers (just a little...I kept the tab under $20, thanks to the excellent selection at Portland's New Seasons Market). It's been awhile since I've done a give-away, and I have some swell swag from the NWFG Show that I just don't have use for. So...I'll be sending one lucky person a copy of Debra Baldwin's Succulent Coloring book from Timber Press (even if you aren't a "colorer" there are some great succulent line drawings in this book) and an issue of Garden Design Magazine (I'm a subscriber, so I've already got them all). Just leave a comment below saying you're interested (you have to opt in, I won't automatically be entering everyone who comments). I'll draw the winner (contest closes at 12 midnight, Friday, March 17 and is open to contiguous U.S. residents only), and announce their name on Saturday the 18th. If you comment without anyway for me to reach you (like an email or link to an active blog) than I'll toss your name and draw another. Them's the rules folks. Please don't include me in the giveaway, I'm sure you know why. I just wanted to say congrats on the blogoversary! I could have sworn you'd been blogging for a lot longer than 8 years. I started in 2009 too, in the fall, and I thought of you as a veteran when I first found your blog. I think 2009 was a banner year for blogging, so many of us started that year. And duh...I wasn't thinking about the fact to many of my friends would have already received the same swag I did. Silly me. So glad I discovered your blog. Though we garden in different climates and styles, I always look forward to seeing what you are doing in your garden and elsewhere. I think as a former print journalist I still like blogging the best. I rarely post to FB, and I have not tried Instagram. But your comment makes me think that perhaps I should check it out. Great bouquet and the fern "scroll" is stunning. Or at least, I think it's a fern. I'd be interested in the magazine but not the coloring book if we are allowed to pick one. I a so glad you commented here so that I would find your blog, I enjoy your every post. I really do think you'd love Instagram. I was a hold out for so long but now I love it. Yes, that's a fern fiddlehead...and of course, I'll only send you what you want, if you win. Thank you Cathy! And as always thank you for the inspiration you provide with the "in a vase" meme. The curly bits are monkey tail fern, I believe they're Hawaiian Uluhe Fern, I love them! Congratulations, Loree! I'm sure you already know I love your blog but it seems an appropriate time to reiterate the fact: I love your blog! I followed it for some time before I ever popped up to offer a comment and, if memory serves, you were one of the earliest commentators on my blog when I started it 4 years ago. The creativity of your arrangements never ceases to amaze me (I still think you need to produce a book on them!) and today's is no exception. Is the green-centered flower an anemone of some sort? P.S. No need to include in the giveaway this time. Thanks so much Kris, I love the supportive community we have here in the blogosphere! The green centered flowers are Ranunculus, perhaps Italian. Aren't they crazy cool!? Happy Anniversary! Yours is one of my favorite blogs!!! No need to be in giveaway. I do want to know what the spiral things are? They look like metal but are they real? They're fern fiddleheads, I know them as Monkey-tail fern but they may be Hawaiian Uluhe Fern. Congratulations, Loree. Wow, 8 years! Thanks for providing so many inspiring posts and photos. Without The Danger Garden, there probably wouldn't be a Practical Plant Geek, though I haven't been tending to it as I should. That arrangement is gorgeous. I love the colors and those brown fiddlehead things. My young Brachyglottis 'Otari Cloud' (planted last year) died to the ground this winter, but it looks like at least two of them will come back, which makes me so happy! Thanks Evan! I've come close to adding that one (Brachyglottis 'Otari Cloud') to the garden, love the crinkles! My most beautiful Brachyglottis just up and died one day, but the others soldier on. Happy blogaversary! I'm so glad that I've gotten to know you through your blog, and I look forward to may more years of great content! You're entered! And thank you for reading all these years. Happy blogoversary! That arrangement is great! Congratulations! Eight years of daily (or almost) blog posts is impressive! Your posts are always a fun read! I'm using all exclamation points! Happy congratulations on your blogoversary! Your writing and photography is always so inspiring and I love the feeling of just "chatting " with you. Thank you for doing what you do and sharing it with us! Thanks for stopping by and commenting today Abby! I LOVE that opening photo on your website. What a great way to celebrate! Beautiful arrangement. I'm interested in entering the contest. Happy blogoversary, pal! Thanks for eight years of inspiration, entertainment, style, and beauty. It's been a pleasure to "visit" your garden five days a week and even more delightful to know you as a friend! Here's to many happy returns of the day! Thanks Peter, as I said to Kris I love the supportive community we have here in the blogosphere, I am so glad you're part of it! Yay! Congratulations! Your blog was one of the first that I found when I really got into gardening, and your love of spiky plants proved contagious. Thanks for sharing your inspiration here and on Instagram! Anytime I can share the love of spiky plants with someone I am a happy camper! Thanks Renee! This seems an appropriate moment to come out of hiding to let you know how much I enjoy reading your blog. 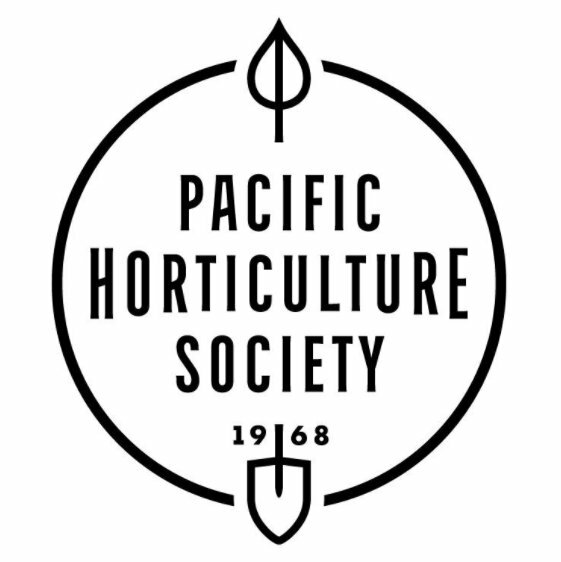 I garden in Seattle and have learned so much from you and the other Portland bloggers over the years. 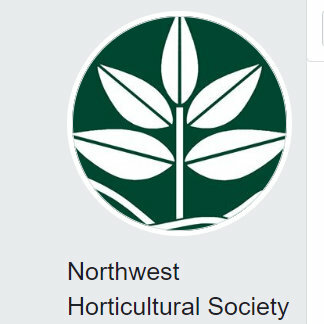 (why aren't there more garden bloggers in Seattle?) 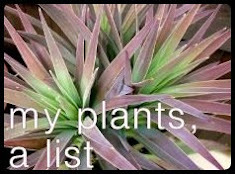 I've occasionally toyed with trying to fill the void (plus, it would be a great a tool for keeping track of my garden's evolution over the years) but don't think I'd be one hundredth as informative, entertaining, and awesome as you guys. Congrats and keep up the great work! PS - truly stunning arrangement today! what are the dark purple grassy things? Also, I'd love to be in your drawing: aardvick@gmail.com. Hi there aardvick! You should start definitely start a blog, it's easy, fun, and yes...a great tracking tool! Seattle is sadly empty of bloggers isn't it? Of course there are a couple of great ones in the Tacoma area (http://bonneylassie.blogspot.com/ and http://outlawgarden.blogspot.com/) but when I think about Seattle I only come up with http://allandnothingemily.blogspot.com/. Although there is https://gardeningseattlestyle.com/ I don't really know but about it. p.s. thanks for commenting today, and the purple grassy bits are Agonis flexuosa 'Burgundy', a plant I REALLY wish we could grow up here in the PNW. Happy blogiversary, Loree! Danger Garden has been a wonderful read for 8 years, and I'm so glad to know you IRL too! I hope you'll continue to crank out blog posts (you post even more than i do, and that's saying something!) for years to come. Thanks Pam, as you know (hopefully) you're my original inspiration! Thank you for saying something about the Ranunculus, I was wondering. Thank you also for blogging these 8 years and sharing your world. I may not visit regularly, and I may not always comment when I do visit, but I have thoroughly enjoyed your blog. I think I started reading Danger Garden back when you were suffering from a shattered ankle or foot, that is if my memory doesn't have you confused with someone else. Congratulations, and pet Lila for me. Yep, that was me...a shattered ankle. I remember posting about my marmoleum floors (the install of which caused the shattered ankle) and including a picture of Lila. You said something about spilling your cocktail when you saw her (the odd things we remember). She's next to me on the couch right now and just got a little lovin from you. Thanks for commenting today Les! Congrats Loree, 8 years is good going! I've loved following your spiky adventures. If only the English climate was better suited to agaves..
Oh yes. 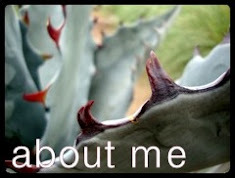 You should see my Agaves right now, they are a very sad lot. I think they would have been happier in your garden this winter. Thanks for commenting today RD! A very happy Blogiversary Loree.. thanks for 8 years of great content, design inspiration and inviting myself and others to visit the Danger Garden in person ! Come back again sometime, okay!? Congratulations I love your blog and I'm glad for your success! You know I've seen big metal fiddleheads, but never ones this size, someone really should make them! Especially if they can get the purple-ish brown color with a hint of green just right. Thanks for stopping by today Eliza! OK, so I copied and pasted a quote from your words because it's so good (please forgive me): "if you're lucky enough to have time beyond what's required to cover the basics in life, then gardening, and writing about it, is a great way to spend that time." Amen! Congrats on your blogoversary. It's been a pure joy to follow your blog, and I'm so glad I had a chance to meet you at the Fling (Toronto, I think). Cheers! Thanks Beth, and yes...Toronto. Hopefully we'll meet again in DC? Congratulations on your anniversary. 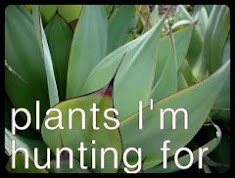 You've opened my eyes and thus my mind to a new way of thinking about plants in the garden. I'm a former Portland so it's fun to come back and "visit" when I read your blog. Ah, a fellow Portlander eh? Thanks so much for coming by today Barbara! Count me in and thank you for having a giveaway! Danger garden has been my favorite blog ever. That's a pretty big compliment, I'll take it! Thanks Diane. I don't even remember when I started. (Pause to look) April 6, 2009. You beat me! Beautiful bouquet, I spy Leucadendrons! See, 2009 was a big year for garden blogs! So many of us are still going too. And yes, Leucadendrons, always have to include a few of them. I for one, am so so glad you started blogging 8 years (!) ago. You have provided me with endless inspiration & bravery. Here's to another 8 years! Congrats! Thanks Kate! So glad I've gotten to know you! Thanks so much Luisa, it's always a pleasure to see you here, on your blog or Instagram! 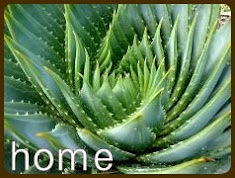 I am glad you continue to write your blog because I find your beautiful floral presentations and house design inspiring. Not to mention your garden with all its unusual, to me, plants. 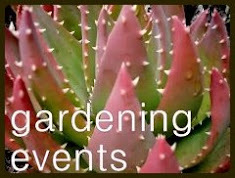 And garden blogging also has opened many doors for me into the wonderful world of gardening. Yes, there has been a decline and I sometimes wonder if anyone ever looks at my blog apart from the Russians, Chinese and Egyptians! But now and then a kind word from someone who writes to tell me they enjoy my blog keeps me going. So, congratulations to you and may you blog for many years. I must admit I read everyone of your blog posts, but don't always comment simply because I'm usually reading in bed and it's late. That's bad blogger behavior! Sorry. We bloggers need to keep each other going. Thanks for the kind words Jenny! Congrats on your blogversary. That's an accomplishment! I have so enjoyed everything you write and can't imagine you deciding to not do it anymore. Thanks Cathi, I can't either! Any excuse to buy oneself flowers is A-OK in my book. Keep them post coming! 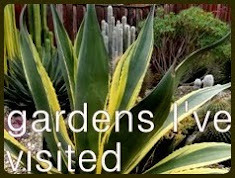 I found your blog this year after diving headfirst into the tropical plant world. I love the plants and your blog is fantastic! 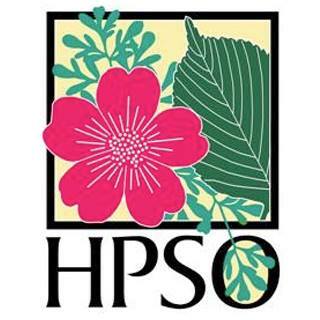 I also joined HPSO and can't wait to attend the various activities they offer. Please enter me in the giveaway.